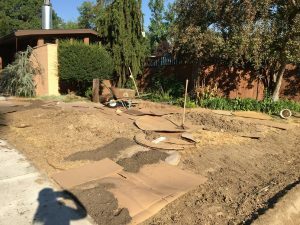 When redesigning a landscape to conserve water, many people face the daunting challenge of removing lawn. Here is a great example from veteran xeriscaper Jill Weigel. 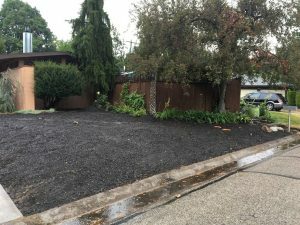 She and her husband stopped watering the lawn this summer but they knew it would still come back with the first fall rains. The next step to completely eradicate the lawn was to cover it with cardboard. Step three was to hide the cardboard by spreading out a thick layer of organic much. They are now are ready to plant!